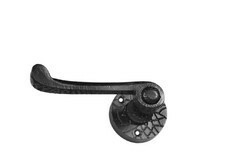 M 1082 - SCROLL LEVER LOCK SHAPED - 2"×7"
M 1128 - VICTORIAN LEVER LOCK SHAPED - 2"×8"
M 1151 - VICTORIAN LEVER SHAPED - 2"×10"
The aluminum lever handles are intricately designed using sophisticated machinery and innovative designs and are in high demand in the domestic as well as international market. These aluminum lever handles bear durable, corrosion resistant, bear brilliant luster, elegant look and are appreciated all across the globe. 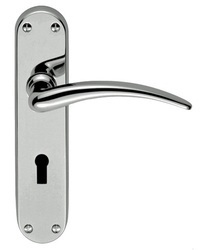 Avail the comprehensive collection of lever handles for door and furniture in trendy designs.